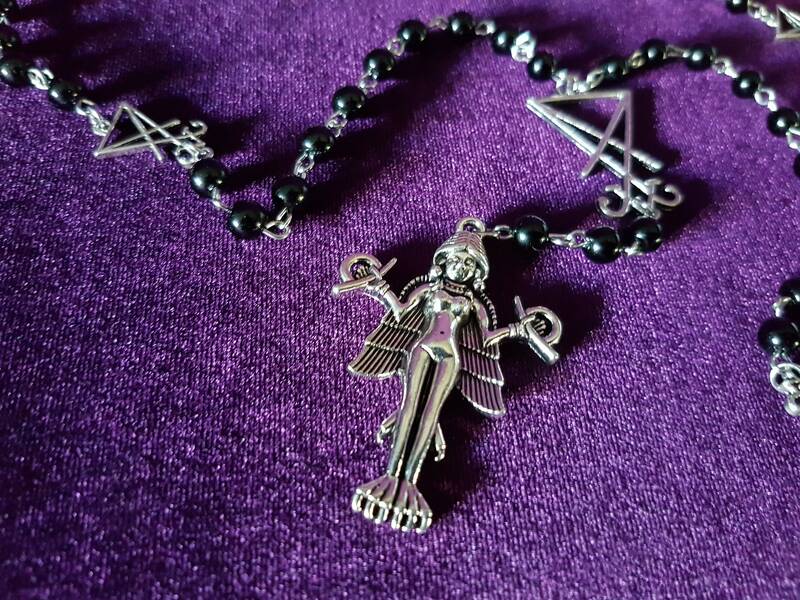 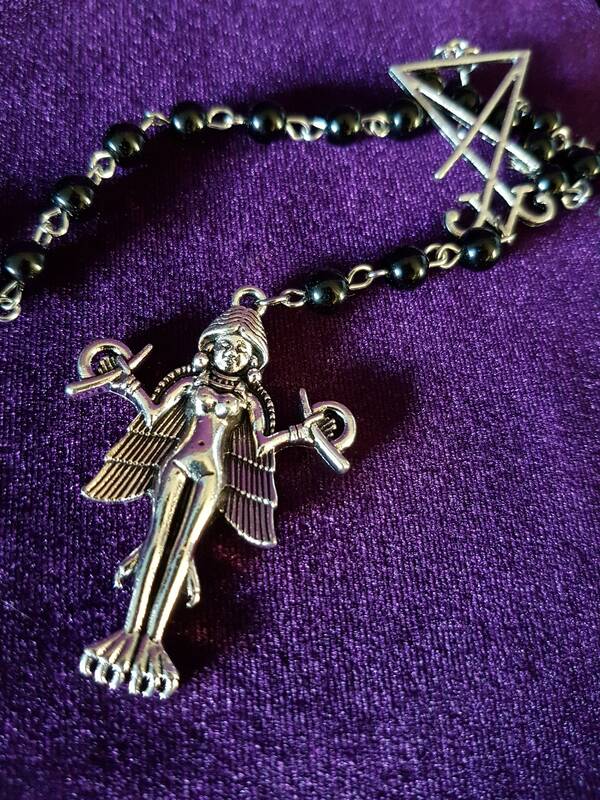 - Lilith | Innana | Ishtar Charm. 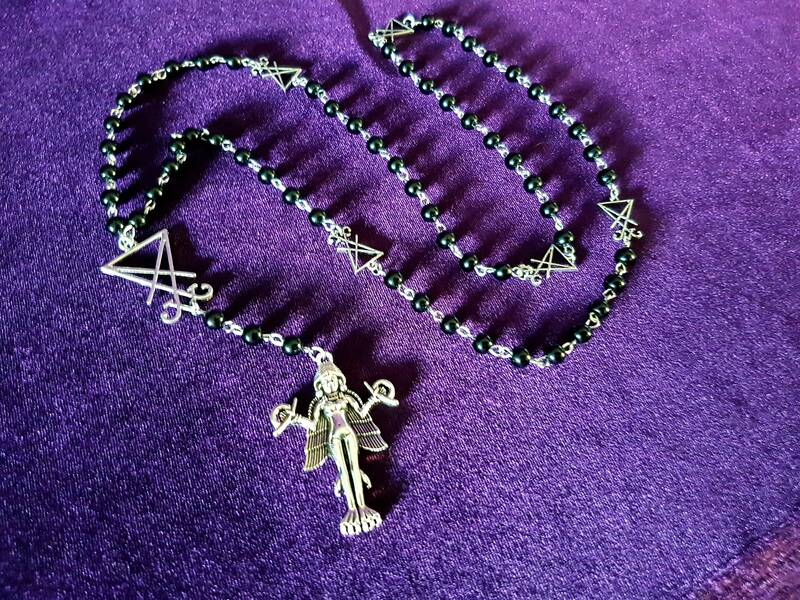 - Silver colour & Black beads. 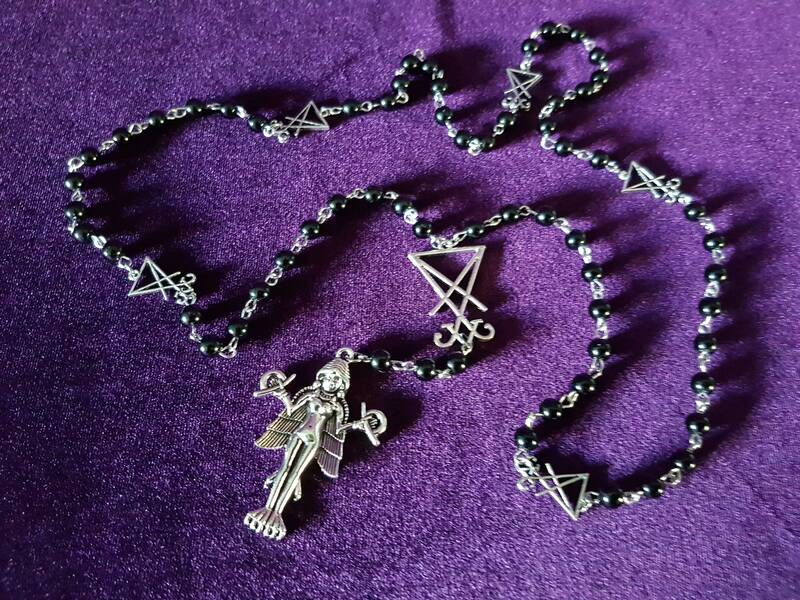 - Measurments of lilith: 5cm in lenght. 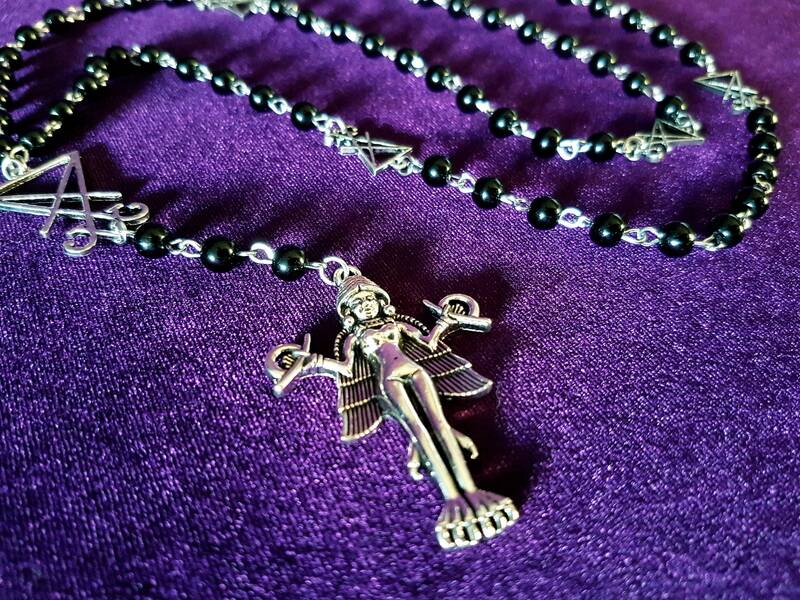 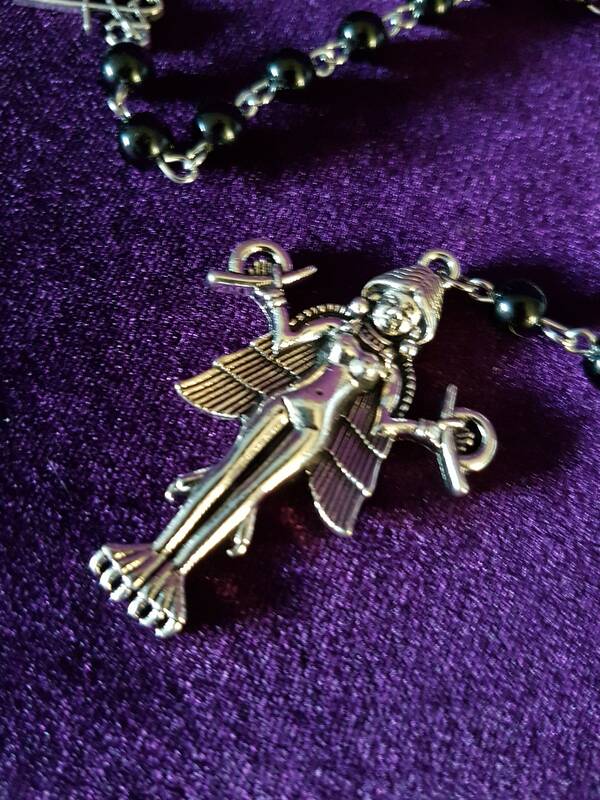 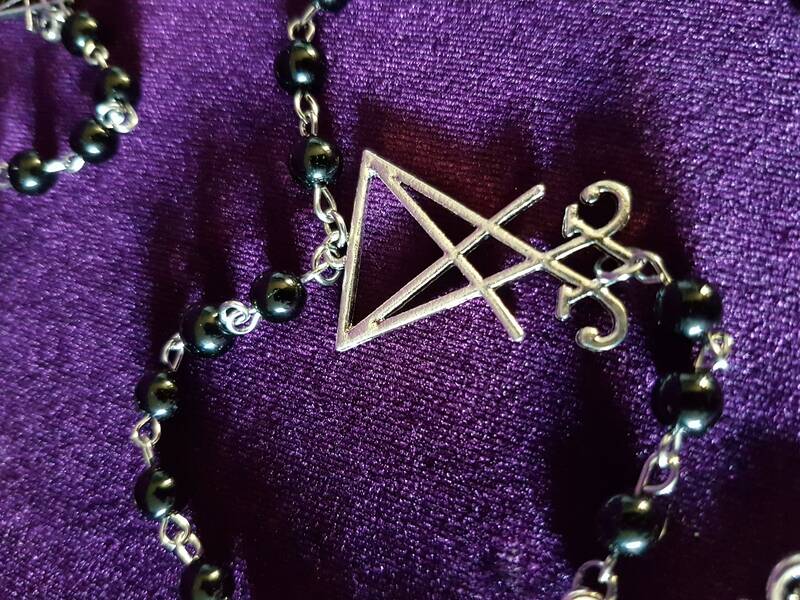 - 6 decades ( 6 x 10 black beads) seperated by a mini silver colour Sigil of Lucifer. 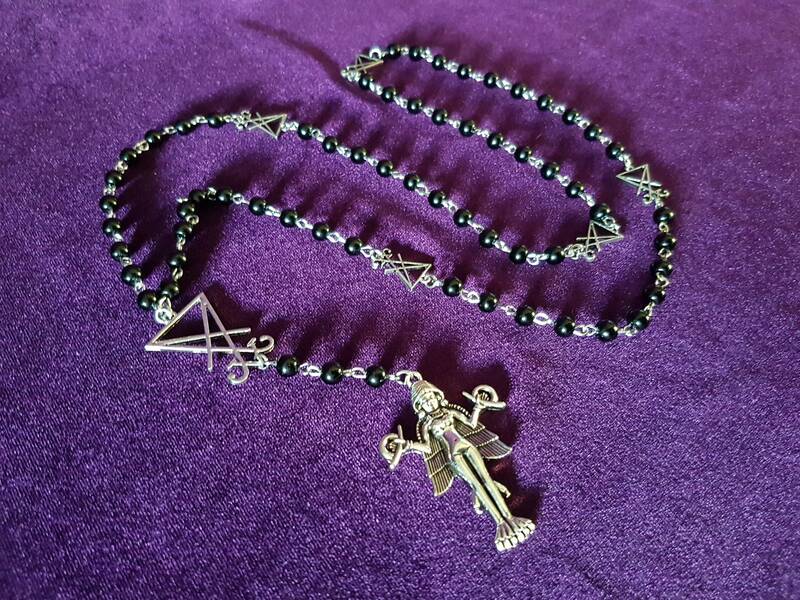 - At the end of the rosary there is the Lilith charm.